The San Diego Zoo Global Academy is committed to creating and sharing great content within our industry. This content can be distributed in various formats and cover a variety of topics. It can be informal information sharing or more formal courses for career development. One form of content being created is the webinars. A webinar is usually a one-hour presentation, used to share valuable information—your “sage on the stage.” The webinar is first presented live, allowing people to watch, listen, and ask questions, and is then posted on the Academy site for ongoing access. These are great for individuals or groups. The fee is based on a per person charge, although subscribers to the Academy can access the live webinars with their subscription and then have whole teams or groups view webinars and participate together and learn and discuss collaboratively. Currently, there are 78 webinars available in the Academy, and new webinars are frequently scheduled. Webinar subject areas now on the site include the following list (please note there are numerous topics within each of these categories). 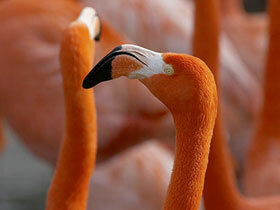 Do you want to create webinars that can be shared with your team and/or the whole Zoo and Aquarium community? The Academy’s webinar production process enables all of us to create webinars for internal use (private site) and to share with others (Global Academy site). The upcoming webinar schedule is filling up fast; if you’d like to contribute to the ever-growing catalog of courses, please contact Debbie DiBacco at ddibacco@cypherworx.com. There are still some dates open in July and September. 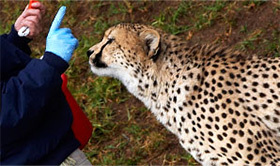 Keeping accurate animal-care records is an important part of zookeeping and a requirement for AZA accreditation and permitting. Standardized information systems that can be transferred and maintained collaboratively between organizations can help you identify health issues, develop sustainable species populations, and address conservation challenges. 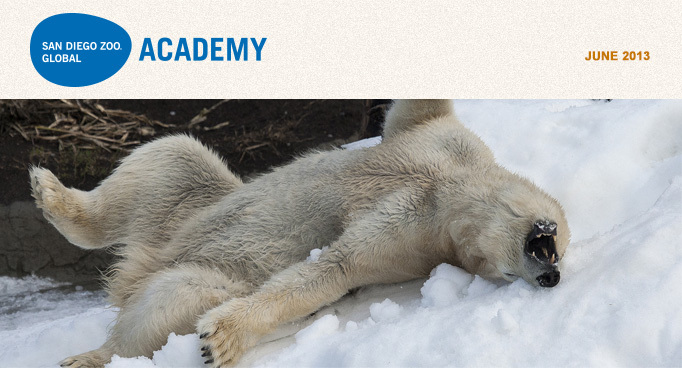 The Jackson Zoo in Jackson, Mississippi has joined the Global Academy. 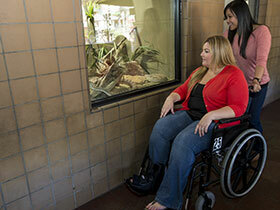 Welcome to the collaborative learning environment for training and development of zoo and aquarium professionals! During May, three new webinars took place, which are now available to Academy members. Our “Intro to Working with Volunteers” webinar reviewed who volunteers are, what they want out of their experience, and how best to engage them in mission fulfillment. Those who attended the webinar received the PowerPoint presentation to begin developing their own Volunteer Tool Kit. A second webinar showed participants the benefits of the San Diego Zoo’s privately branded site, “My Academy,” and gave a run-through of what is rapidly becoming a fan favorite among San Diego Zoo employees. Finally, a new course was added to what will be our Human Resources Tool Kit. “World-Class Wellness” provided a blueprint for companies eager to start or continue on their own path to wellness. Some great new content is coming this month—enroll now! Service Animals, Segways, and the New ADA: Are You Ready?